There’s something very different going on in the raven’s nest. When the eggs hatch, a pink girl emerges from one of the shells, along with her black raven siblings. Loving raven parents take their little Rosie just the way she is. Rosie finally realizes she is different. Maybe she can’t caw or fly, but a world of discovery awaits her nonetheless. 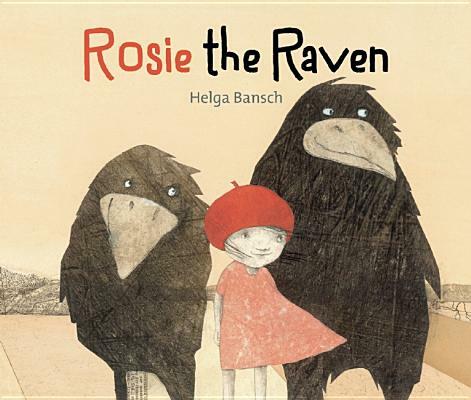 Helga Bansch’s exquisite artwork of collages and colored images, including comic-style panels, bring humor, mood, and emotion to Rosie’s story. The reader is drawn to Rosie from the instant she pushes herself from the egg, smiling and happy to greet her family, oblivious to her differences.